Anybody who has a pet will know that a visit to the vets can be expensive. 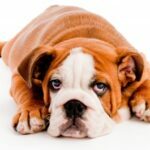 Covering this cost by buying pet insurance is an obvious option, but you need to be aware that there are different types of pet insurance with a variety of exclusions. So to help you, here is my guide of what to look for when buying pet insurance. Annual cover - policy lasts 12 months and is renewable every year until your pet reaches a certain age. Some insurance companies offer you a 'senior' policy with reduced cover and more conditions after this age. Lifetime cover - the policy covers your pet for the whole of its life and needs to be taken out when the pet is young. The policy is renewable every year and cover will be provided as long as required up to the limits set out in the policy. Due to the length and range of cover provided this type of cover is usually more expensive. What cover is provided by pet insurance? Pet insurance provides a range of options and you can choose the cover that best suits your needs and budget. Basically, the more conditions and restrictions you have on a policy the cheaper it will be. Reinstatement cover - the most flexible and expensive type of cover with a cap on the amount of cover for vet fees each year. Condition limit cover - no annual limit on total vet fees but instead a limit on the amount that can be claimed one each condition that your pet suffers. Monetary/time limit - puts a monetary and time limit, usually 12 months, on how much you can claim from the onset of a condition. Cover will cease when one of the limits is reached. covers fees payable if your pet has to go into hospital as a result of illness or accident. There will be limits placed on the length of time per hospital stay as well as the frequency of claims. usually pays out the original purchase price of your pet if it dies through illness or accident. covers the cost of advertising for the return of a pet and includes the provision of a modest reward. Normally it is a requirement that the pet has a microchip fitted to help in recovering the lost pet. this cover will pay any successful claim against you for the damage caused by the actions of a pet such as causing an accident by running in the road or damaging property. will provide cover if you have to cancel a holiday due to your pet's illness or injury. 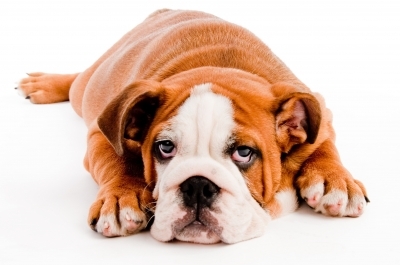 What exclusions are there regarding cover under pet insurance? Are there any others things I need to be aware of when buying pet insurance? Pet insurance is a useful policy for pet owners, but it isn't cheap. However, you really need to do your homework to ensure you get the best deal, there are numerous options and exclusions that differ from insurer to insurer, and make sure you only pay for cover that you need.